N'Daw has 31 caps for Senegal, scoring two goals. 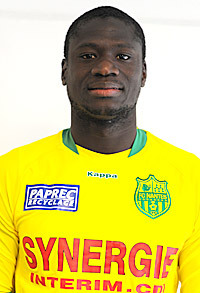 According to The People Wolves have agreed a £1.75m fee for Senegalese midfielder Guirane N’Daw. 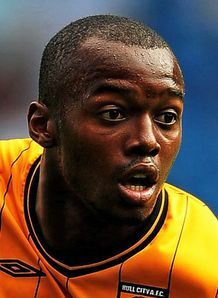 N’Daw had been on loan at St. Etienne and a permanent move had been expected from Nantes but Wolves look to have hijacked the deal. Here’s Mouyokolo’s goal against Chelsea this season. A towering header from a corner. Here’s Mouyokolo scoring for Boulogne in the French cup. Mouyokolo moved to Hull in 2009's January transfer window. Wolves have now confirmed the signing of Hull City defender Steven Mouyokolo. The 23-year-old Frenchman has signed a four-year-deal with the option of a fifth and as per club policy, he mvoes for an undisclosed fee. Let’s hope his old club-mate Stephen Hunt will be following him before too long. Steven Mouyokolo to sign for Wolves? 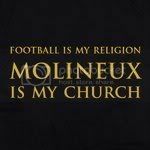 According to the French website ”EspoirsduFootball.com” Wolves will sign Hull’s French defender Steven Mouyokolo. The 23-year-old has attracted scouts from the country’s top teams including both Arsenal and Liverpool but this website is reporting that we are set to sign the lad. “The young French defender Steven Hull City Mouyokolo evolve next season at Wolverhampton in the English Premier League. Moved to England last season from Boulogne sur Mer, it will therefore remain a season at Hull City, relegation to Championship. It was recently reported in the Times that Hull have offered the defender a new four-year-deal in an attempt to ward off potential buyers.